It’s the most wonderful time of the year. Or so they say. If you are out and about you might love seeing the lights and decorations EVERYWHERE. Or you might be rushing around trying to get what you need and hurry home. 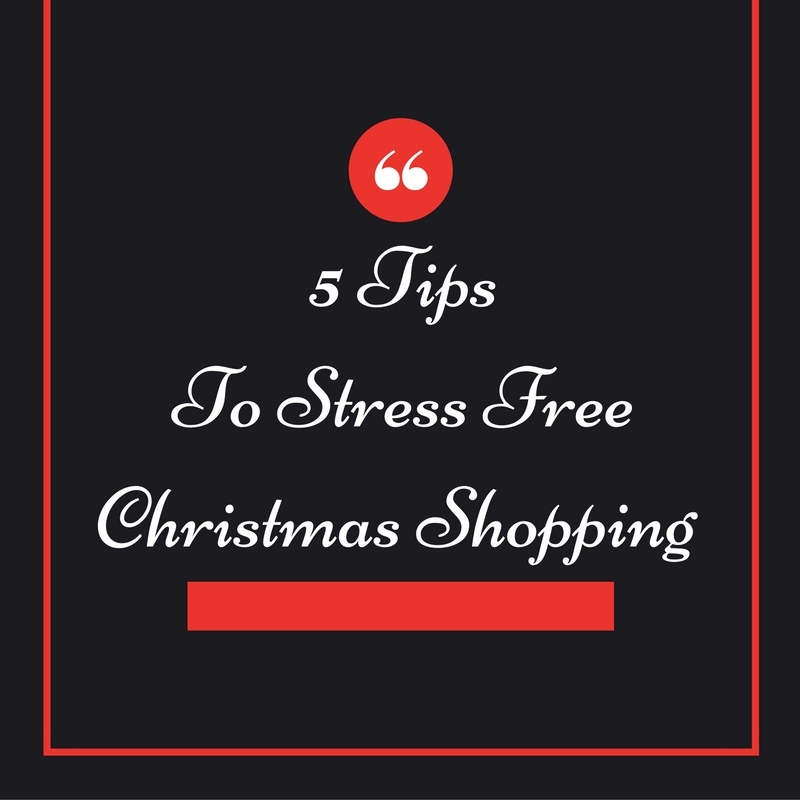 Christmas shoppers come in many forms and I wanted to share a few tips that help me be stress free when it comes to Christmas Shopping. Starting in January take a set amount ($10, $20, $50, $100) out of every paycheck and buy gift cards for the amount. Come time to shop use only the gift cards. When you run out of gift cards shopping is OVER. The 52 Week Savings Challenge. Use your savings to pay for gifts. There are really good sales right after Christmas so I make sure to pick up some wrapping paper, decorations, stockings and other things that I can find for 50 – 75% off. I then take those things to my storage unit so I don’t have to worry about them until next year. There is nothing worse than being in the middle of wrapping gifts when you run out of tape or paper. Tape you can usually stock up on during back to school sales. If you’ve been reading my blog for a while you know I live in a one bedroom apartment. There isn’t much room for anything yet I make room for gifts. I use the shelves and floors of one of my closets for gifts. JustaBXgirl and her cousins know they are not allowed in the “gift closet.” The gift closet is never empty because I start shopping pretty much as soon as Christmas is over. I pick up things that I think JustaBXgirl, her cousins and my godchildren will like year round. Into the closet everything goes. I also use the gifts from this closet when we have birthday parties to attend or one of the littles in my life deserves an extra treat. I get serious about Christmas shopping during the summer. I have mostly everyone’s stocking stuffers and main gifts done before school shopping begins. Of course there will be things still to buy once the hottest toy lists come out but you can get the majority done before November and be able to enjoy the decorations come the holidays. And not have to feel like you’re spending a million dollars at once. The reality is our littles like what they like. Yes, they’ll be entranced by what commercials tell them they’re supposed to want but their tastes won’t change that drastically. There is nothing wrong with picking up a Shopkins 5 pack or TMNT puzzle when you see it on sale. Worst case if all of a sudden your little develops a distaste for the toy it can go to someone else on your list. I still remember waking up to mountains of gifts on Christmas mornings so I’m not a limiter. I do however think it’s a great way to make the holiday more about the true meaning than the gift giving. If you do decide to limit there’s a few ways to do it. 4 gifts – Something to wear, something to read, something they want and something they need. Secret Snowflake – Everyone chooses someone to get a gift for in the family. Plan a Family vacation rather than a gift exchange. I know, I know. I might catch some slack for this one but regifting can save you so much stress. Like I said I am not a limiter so JustaBXgirl gets more gifts than she needs or uses. Here are a few ways you can regift. Sometimes people don’t give gift receipts and JustaBXgirl gets a gift she already has or really won’t be into. When this happens I put those gifts in the gift closet to be regifted. We are blessed and JustaBXgirl gets most of her clothing from older cousins. Even still I buy her things intermittently throughout the year. Sometimes she decides she doesn’t like what I’ve bought or she outgrows it before she gets to wear it. When this happens to gift closet it goes! I love the four rule gift! It is a really great way to make sure you don’t overbuy and also help stay within your budget. I can’t shop early. I’ve tried. I usually end up giving what I got to the person beforehand lol i can’t wait. One place I definitely hit up for deals after Christmas is LUSH. I STOCK UP! I actually really like that regifting tip! Alexis got two of the same books one year, those big theme look and find books, I meant to take it back because one person actually did give a gift reciept. However I forgot. So I just gave it to her. Turns out though, one was regular Thomas and the other was a Christmas Thomas. So it worked out but I know exactly what you’re talking about. I’m the worst at getting back to the store even when I have a receipt. Regifting or saving one for when the other needs to be replaced just works better in my house. Happy it gave you a new option! I love the four gift rule..now how do I get my husband to stick to only 4 gifts?